Sai Kartheek comes with yet another album this month after the recent Run. Lyrics are by Shyam Kasarla, Ramajogayya Sastry and Late Veturi. Jaspreet Jasz, Divija Kartheek, Karthik, Sooraj Santosh, Deepthi Parthasarathy, Sai Charan, Krishna Chaitanya, Revanth and Chitra are the singers. The album opens with an introduction song that doubles up as an item song with a slang that borders on the low-brow. Shyam Kasarla's lyrics don't introduce a new language. The patois is familiar. 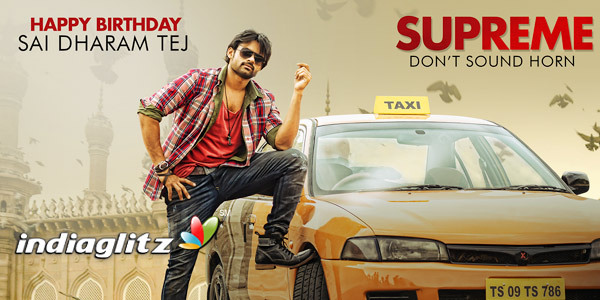 The taxiwala is aggressiveness and naughtiness rolled into one. Jaspreet Jasz and Divija Kartheek translate the foot-tapping music into electrifying vocals. Sai Kartheek can't be trusted for a 'supreme' instrumentation, though. Rarely is a song written in supple language, a song with features of a devotional ditty, interspersed into the narration of a mainstream commercial movie. Ramajogayya Sastry comes with profound phrases like 'oopiri vanthena chesi' and more. The situational number will click big-time if the film is good, overall. Karthi and Deepthi Parthasarathy complement each other. It's the former who clearly scores over the latter. Sai Kartheek resorts to a tuning that is catchy. His choice of singers is right. The song is in the mould of a typical hero-falls-after-heroine number. 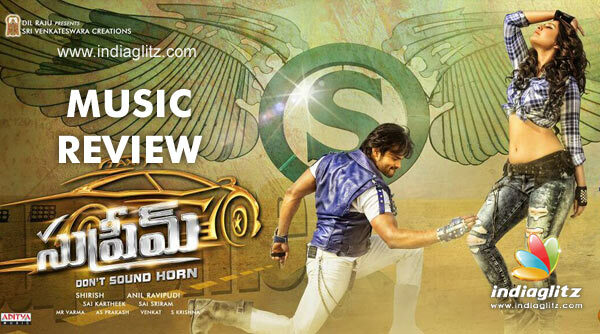 Sai Charan's singing is energetic as befitting the genre of the song and the temperament of Sai Dharam Tej. Ramajogayya Sastry's lyrics have no much takeaways and phrases like 'tidithe tittey ve, kodithe kottey ve' could have been better expressed. The fast-paced song from Sai Kartheek passes muster. The song is instantly catchy. The chorus of the children forms the next best feature after Krishna Chaitanya's formidably breezy vocals. Ramajogayya Sastry's lyrics mirror the joy of a boy on finding the miracles of love. Sai Kartheek elevates the song with elements like chorusing. The instrumentation makes a mark. The iconic Andam Hindolam from Yamudiki Mogudu is reprised here rather faithfully. Late Veturi's lyrics might come across as an esoteric wordplay to the new generation. Revanth manages to get into the shoes of SP Balasubramaniam with aplomb. Chitra complements Revanth's vocals with her genius. Sai Kartheek does justice by rehashing the famous number religiously. Verdict: The album passes muster with three noteworthy ones. With a remix and a subject-based semi-devotional number, the album is in 'chalo chalo' mode.